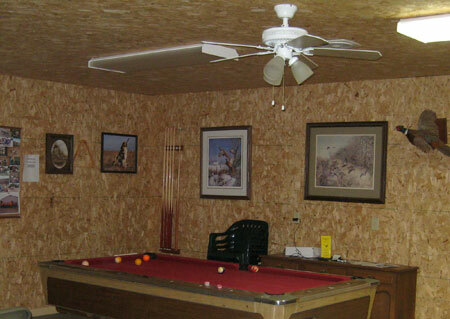 Bluestem has lodging accommodations in our well equipped and comfortable lodge. Groups can arrange for exclusive use of the lodge with prior reservation and a non-refundable deposit. Guests are welcome to bring their own food and use our complete kitchen facilities. 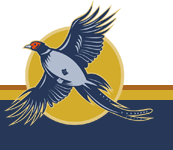 A Kansas hunting license or a controlled shooting area permit is required to hunt at Bluestem. 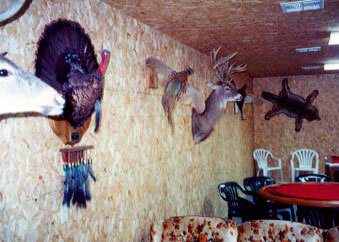 Out of state hunters do not need a nonresident hunting license or a hunter safety certificate. Controlled shooting area permits can be purchased for $17.50 and are good for the calendar year. Licenses and permits are available for purchase at our headquarters. Restaurants are close by and available in Kingman (6 miles). Transportation from the Wichita airport is available by prior arrangement. Guest kennels are also available.